I remember a time when it used to take me well over an hour to get up, dressed and out the door. These days I tend to be able to get everything done and my daughter ready in less than half an hour. I thought I would share a few helpful hints for making life a little easier in the morning. More coffee and less worry! Shower at night – I love to slip into my sheets feeling fresh and clean at night. Not only am I going to be in bed for 7-8 hours at minimum, it gives me extra time in the morning to get up and go. I usually pop out of bed, wash my face and brush my teeth to give me a jump start. Lay everything out the night before – This one is such a time saver for me. When I do not lay out my clothing the night before for myself and my daughter… it really tacks on extra time to look for a matching purse or locate a pair of socks. In fact, to further save time layout a few outfits on Sunday night and Wednesday night so you don’t have to repeat daily. Breakfast – We eat breakfast every day. The key is to know what you are going to eat before you wake up. Usually it’s fruit and yogurt or muesli for us. Sometimes we even do a quick smoothie. We like to keep it simple in this household and make things that take only a few minutes. Lunch – Everyone is responsible for their own lunches. My daughter has healthy choices that we decide on at the beginning of the week. All she has to do is assemble in the morning and we go. Hair and Makeup – If crunched for time I have a few quick braids (like this one or this one) that are my default for quick mornings. If I get behind, I simplify makeup down to mascara, lipstick, blush and concealer. Having a plan B makes it that much easier! Coffee on the go – Prepare a cup to go and drink on the way to work or have a cup once you get to the office. By cutting out my first cup at the house, I realized I was saving so much more time! Same order, every day – By doing things in a methodical routine you won’t forget as much. That way you don’t have to think about everything… you just get up and follow the routine. You can spend more time practicing being present than planning. Although we do have mornings where we get behind, these are a few ways I’ve found to just simplify life. I get a little extra rest or have more time to read or write in the mornings. What are some of the ways that you guys make your mornings easier? Jeans are essential. My job has transitioned to a more casual attire and since then, I've pulled out my favorite pairs to wear everyday. I thought I'd share some styling tips for pastel or white jeans. Both are easy to wear year round! I also think they give a fresh take on a classic style. I really like to pair light colored jeans with pastels themselves. From a soft blue to a creamy white... they work nicely together when you layer different pastels. For Fall and Spring I like to wear a lightweight off the shoulder top and I added a pair of simple sandals. As the temperatures get cooler, I've found that pairing them with a classic pea coat or pastel single breasted jacket works really nicely. A few weeks ago I launched a new series on the blog called Small Town Charm. 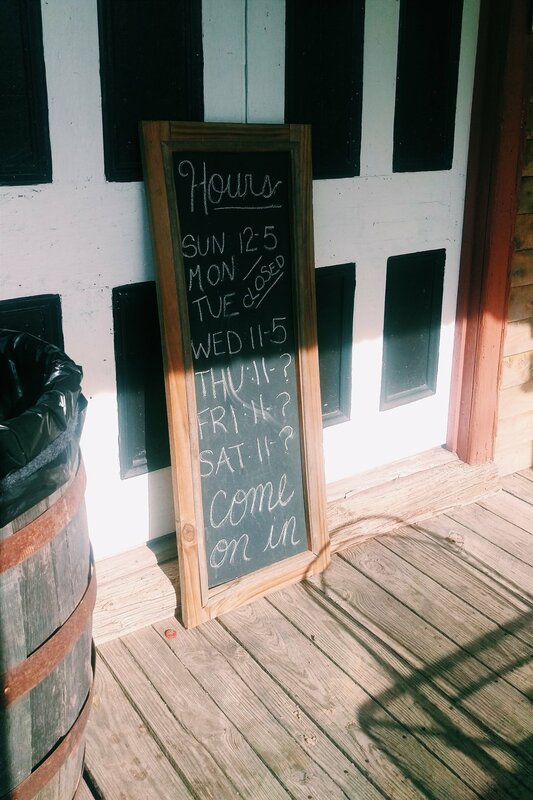 In my first post I talked about my recent visit to Medina, TX. This week I decided to launch a recent trip to Chappell Hill. Chappell Hill is located about 30 minutes outside of Houston Metropolitan Area just past Hempstead on Highway 290. Back in April I visited it for the first time during Bluebonnet season and shared my experience at the Bluebonnet Festival which takes place in April. Fast forward a few months later and I stopped through there a second time to get a taste of their charming downtown area. They have several places in this city with so much history to include a church built in the late 1800's complete with stained glass windows and pews. If you travel a little further east, you'll find a Lavender Farm where you can pick your own bunches during harvest season. They also serve delicious lavender ice cream and you can pick up an array of goodies all lavender scented, of course, in their gift shop. My personal favorite purchase during my last trip was lavender infused honey. I put that in my coffee for weeks on end to give it a delicious floral flavor. There is a ton of small town charm all over the city. You can walk down a few of the streets to see house listed on the National Register of Historic Places. If you stop on main street I would grab a cold drink at the 291 Ice House or just look around at The Bluebonnet House. 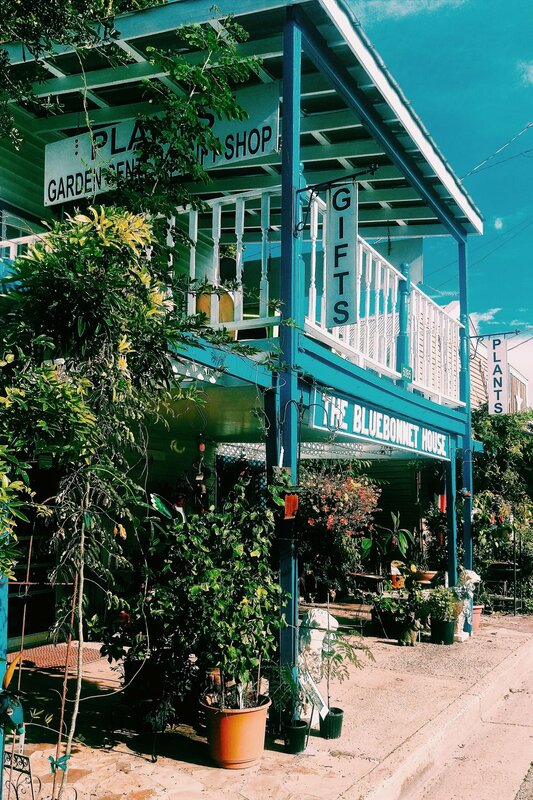 There are other adorable places to pick up goodies for your home or garden up and down that area. Finally, as you head back to Highway 290, don't forget to visit the Chappell Hill Sausage Company!